Carbide wire drawing dies, also known as TC wire drawing dies (Tungsten Carbide), are made from tungsten carbides of superior quality. They are resistant to high heat and shock. At the same time, our cemented carbide dies are very cost effective compared with similar products. 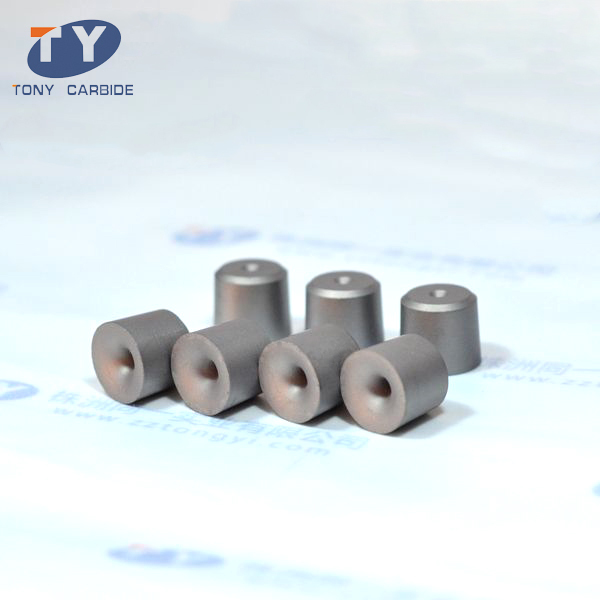 Tongyi mainly offers two types of wire drawing dies: S11 and S12. Cemented carbide dies are more cost effective than PCD dies (Polycrystalline Diamond Dies), making them the preferred choice for wire drawings. 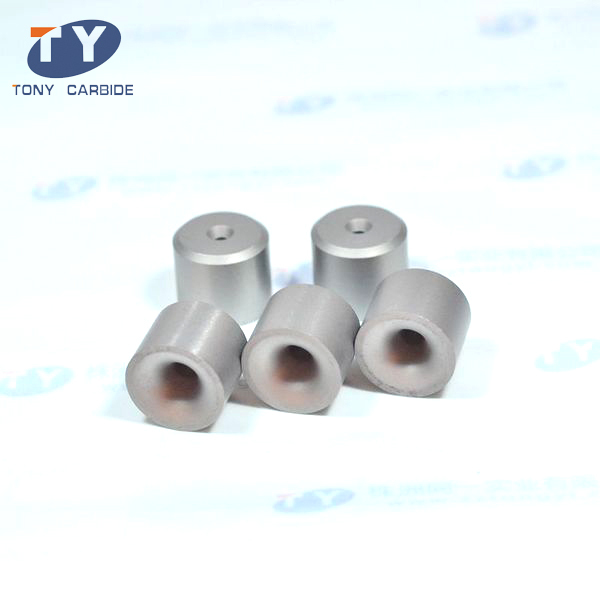 S11 carbide die is mainly used for drawing ferrous wires. Cemented carbide dies are frequently used by major wire manufacturers to draw wires. It is often in applications where PCD dies are too expensive. S12 carbide die is often used to draw thicker wires, non-ferrous metal wires and rods. It is also used for drawing mild steel, high carbon, stainless steel, brass, aluminum and other alloys. 1. Cemented carbide dies are frequently and successfully used in wire drawing (round and shaped), bunching, stranding, guiding and splitting. 2. They are typically used for manufacturing wire, generally in highly abrasive and high carbon material areas where PCD dies are not cost effective. 1. Carbide wire drawing dies have good wear resistance, excellent polishing and low friction coefficient. 2. Our company can manufacture cemented carbide dies according to standards or customize products to meet clients’ specific requirements. 3. We provide technical support for all our products. Samples and quotes can be obtained if required. Zhuzhou Tongyi Industry Co., Ltd. is a reputed professional manufacturer of carbide wire drawing dies in China. We make a broad range of carbide products, including tungsten carbide bits, tungsten carbide tips, cemented carbide dies, etc. We offer customized service to meet your exact requirement and provide technical support to our products. If you are interested in our products, please do not hesitate to contact us.